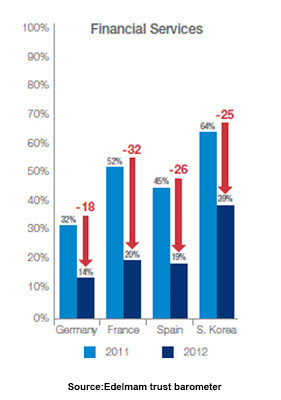 ConVista Consulting Spain: Increase profitability through Sustainability in Banking? 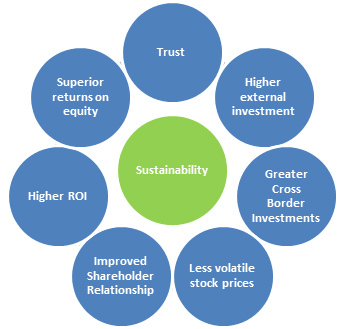 Increase profitability through Sustainability in Banking? Sustainability has gained considerable importance for banks since the financial crisis. Once an institution loses the clients trust, it is extremely difficult to regain that client. Environmental, social and governance (ESG) factors are long term opportunities for change, and simultaneously help to improve the financial performance. Given the high competition in the sector, it is crucial for banks to be proactive rather than reactive to retain its clients. Only complying with mandatory regulatory disclosure is not sufficient any more – banks will have to go a step further. The motivation for a change is not only driven by an ethical point of view, but also a business one: Several studies have shown that sustainability leads to a better image on the one hand, but on the other hand it has actually a positive impact on the company’s performance: Among others, higher external investments, higher ROI/ROE, less volatile stock prices, improved stakeholder relationships, and greater cross border investments (e.g. M&A), could be observed. In fact, a recent report conducted by GABV (Global Alliance for Banking on Values) revealed that sustainable banks performed 51% better than Globally Systemically Important Financial Institutions (GABV, 2012). 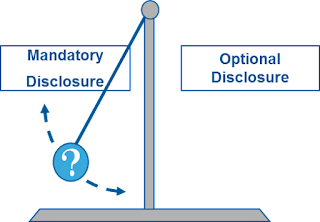 For strategic decisions an additional driver must be taken into account: A substantial number of regulations are currently planned or reviewed by the European Union (involving organizations like EBA, EIOPA,ECB, or FSB), which will make financial reporting disclosure mandatory in the future; however, an anticipated voluntary disclosure can provide a significant competitive advantage. International organizations stressing different approaches already offer reporting tools based on KPIs which guarantee transparency to the client when published accordingly. Sustainability distinguishes between three major fields of action: Environmental, Social and Governmental/Compliance (ESG). Review your product portfolio: What impact would each measure (ESG) have on your stakeholders? Which strategy do you determine for each country, sector or market that you want to enter with the new approach? Make your choice: Get active before you are obligated and regain your clients trust now! We can help you pave your way with tailored solutions. We support you prepare and generate standardized and validated reports that best fit your mission.